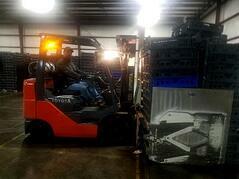 Spartan Logistics is always seeking ambitious, hard-working team members having experiencing with forklift clamps. These unique individuals will work 3rd shift (6:00 pm - 6:00 am) and be responsible for putting away stock and dropping stock for order selectors. These duties are to be performed in a safe, efficient and productive manner. Essential Duties and Responsibilities include the following. Education and/or Experience: High School diploma or general education degree (GED); or one to three months related experience and/or training; or equivalent combination of both. Language Skills: Ability to read and comprehend simple instructions, write short correspondence, and memos. Must have the ability to be able to effectively present information in one-on-one and small group situations to customers, and other employees of the organization. Mathematical Skills: Ability to add and subtract two digit numbers and to multiply and divide with 10's and 100's. Reasoning Ability: This ability applies common sense understanding to carry out detailed written or oral instructions. Physical Demands: The physical demands described are representative of those that must be met. The employee is frequently required to stand, walk, sit, use hands to finger, handle, or feel; reach with hands and arms and talk or listen. Specific vision abilities required by this job include close vision, distant vision, and depth perception. While performing the duties of this job, the employee is frequently exposed to moving mechanical parts. The noise level in the work environment is usually moderate. 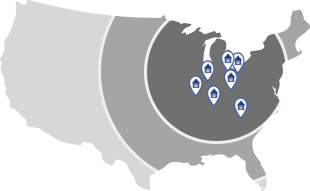 • Verifying product received and shipped as well as verifying their date codes, tie colors and quantities with 100% accuracy. • Stock put-away with forklift using date codes and tie colors for product rotation. • Tray unloading from trailers. Customer service: Responds promptly to customer needs; responds to request for service and assistance;meets commitments. Quality:Monitors own work to ensure quality and accuracy. Quantity: Meets productivity standards;completes work in timely manner; strives to increase productivity; works quickly in a safe manner. Safety and Security: Observes safety and security procedures; reports potentially unsafe conditions; uses equipment and materials properly as designed. Adaptability: Changes approach or method to best fit the situation; able to deal with frequent change, delays, or unexpected events, great decision making. Attendance/Punctuality: Is consistently at work and on time, on time describes being ready to work before your start time. Dependability: Follows instructions, responds to management direction; takes responsibility for own actions; keeps commitments; commits to long hours of work when necessary to reach goals. Work Environment: The work environment characteristics described here are representative of those an employee encounters while performing the essential functions of this job. While performing the duties of this job, the employee is frequently exposed to moving mechanical parts. The noise level in the work environment is usually moderate. Warehouse is not climate controlled, temperatures can be anywhere from over 100 to well below freezing. •Attitude - Are you a positive influence on the team? Ability to work together without complaining? Getting the job completed is the goal! Night Shift Hours are - Sunday, Tuesday, Thursday and Friday from 6:30 pm to 6:00 am.